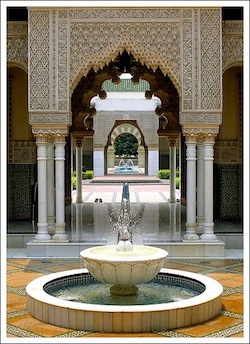 Travel Exploration Morocco has a few new additions to our special tour offerings this 2012 season. The new tours are “Majestic Gardens of Morocco” and “Gardens of Marrakech”, both offering extension options. 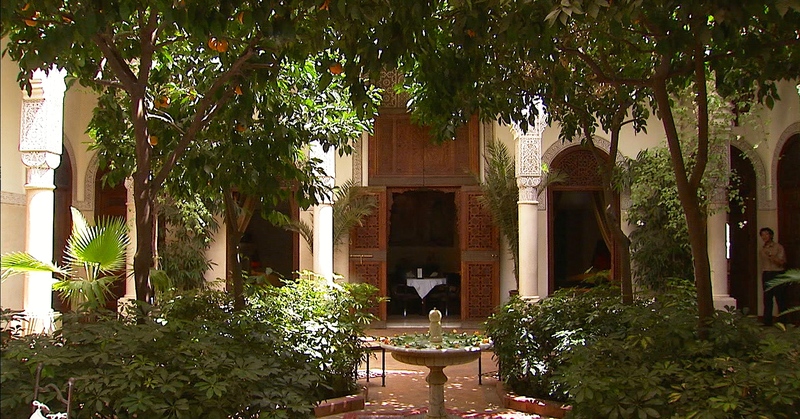 The “Gardens of Morocco” tours offer an extension option to the Tarodaunt and Agadir region. What distinguishes Travel Exploration’s new tours from others is that it specifically caters to garden enthusiasts, botanists and gardeners because it takes a true look at the majestic gardens of the Maghreb. The Gardens of Morocco tour takes visitors on a unique journey to the Imperial Cities of Morocco while giving them a taste of Islamic, Andalusian, Moorish, Art Deco and Sultans gardens. This tour also gives travelers a chance to connect with the local culture through discovering historic sites, museums, mosques, old cities and traditional cuisine. 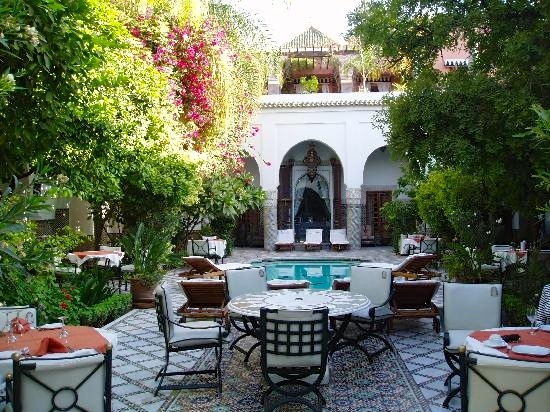 The Majestic Gardens of Morocco offers guests 10 days and 9 glorious nights whereby they can explore the sites and sounds of Casablanca, Rabat, Fes, Marrakech, the Ourika Valley and Ouirgane region. The Majestic Gardens of Morocco tour begins in Casablanca at the stunning Hassan II Mosque which lies at the foot of the Atlantic ocean, then visitors continue the road to the exotic Sidi Bouknadal Garden outside of Rabat. Topped by afternoon sweets and mint tea at Cafe Maure. 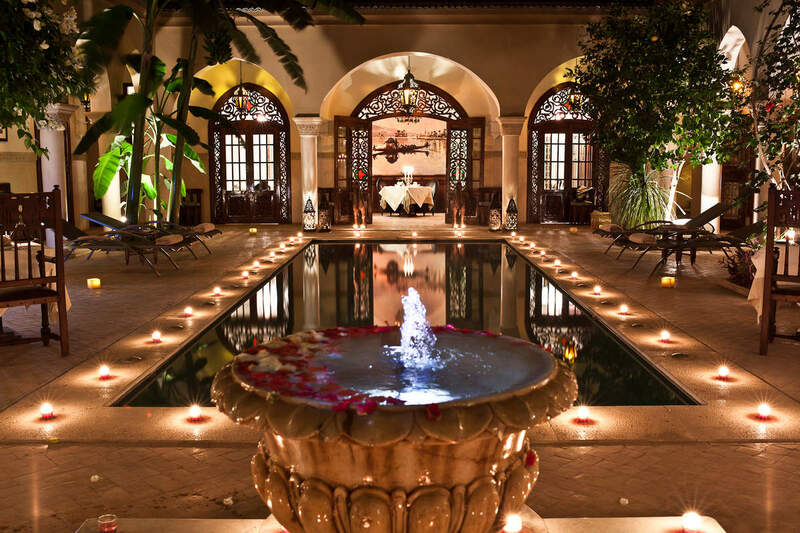 An evening at Sofitel Le Jardin Des Roses and a welcome dinner by candlelight in the gardens offers travelers a great way to start off their gardening vacation to the Morocco. Rabat holds its beauty with some of the most historic architecture in the country as well as gardens. Travelers on the Majestic Gardens of Morocco tour can also plan on visiting gardens in the medieval walled city (old medina) of Fes, a visit to the Imperial city of Meknes, the Roman ruins of Volubilis, After taking in the living museum of Fes the next stop will be the “red hamra” city of Marrakech, home to artists, writers and the chic. 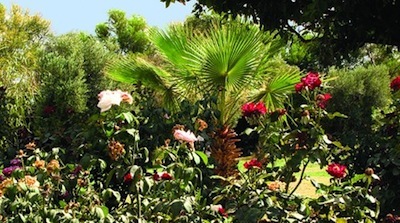 Marrakech’s gardens are top notch and will be seen when light is at its best. 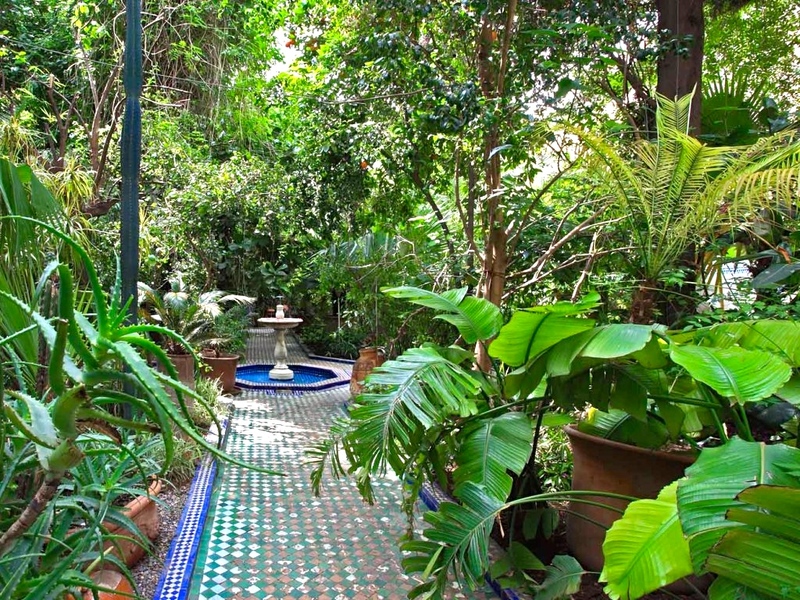 Visits to the Majorelle Garden, La Mamounia Garden, the Koutoubia Gardens, the Bahia Palace and Gardens are just a few of the green spaces on this tour. 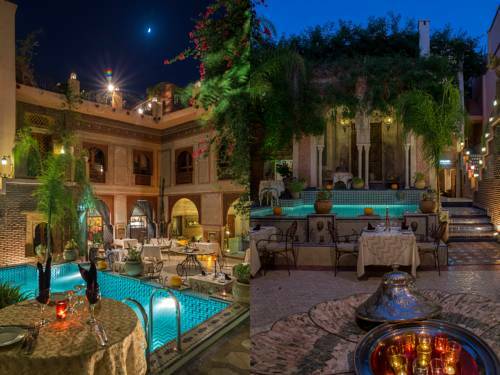 A charming ending to the Majestic Gardens of Morocco tour includes a visit to Nectarome in the Ourika Valley, harmonizing foot baths, lunch at the Flower Power cafe and then an overnight at La Roseraie in Ouirgane. 10 full days and 9 nights of beautiful 5 Star garden Riads and Hotels, luxury transport, airport transfers, 14 excellent meals with a variety of traditional and contemporary Moroccan cuisine (breakfast daily at your Riad or Hotel, welcome dinner, lunch at a palace restaurant in Fes and farewell dinner), 4 Guided Historical Tours in the Imperial Cities, 8 Guided Garden Tours by a Botanist, Nurserymen and Herbalist, Garden & Monument Entrances Fees, plus exquisite sights, shopping time in the souks and a kelech horse and carriage ride in Marrakech. Visit http://gardentoursmorocco.wordpress.com/majestic-gardens-of-morocco-tour/ to see the complete itinerary.